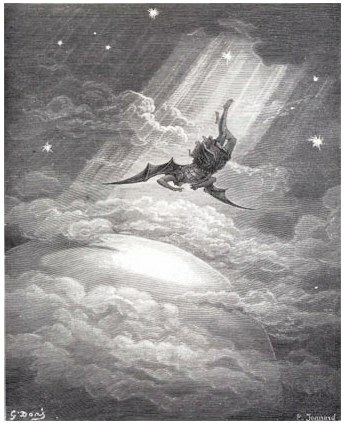 Dore's illustration of the Fall of Satan. Aiax. Will you subscribe his thought, and say he is? wise, no lesse noble, much more gentle, and altogether more tractable. grow? I know not what it is. the fairer; he that is proud, eates vp himselfe; Pride is his owne Glasse, his owne trumpet, his owne Chronicle, and what euer praises it selfe but in the deede, deuoures the deede in the praise. Nest. Yet he loues himselfe: is’t not strange? Holding pride of place among the Seven Deadly Sins, pride has a bad reputation, and it was pride of course that was the occasion of Satan’s fall. Even outside a strictly theological context, we have the above-quoted passage from Shakespeare on pride, in which The Bard artfully, true to holding up a mirror to nature, shows the divided human attitude to pride: pride is hated, and yet even those who publicly condemn pride seem to love themselves. No doubt Satan, too, condemned pride before being cast out of Heaven. Aristotle's “Great Souled Man” puts pride in a very different context than that which we have inherited from the Christian Middle Ages, when the narrative of pride was that of the sin that resulted in Satan's expulsion from Heaven. In antiquity, pride had a better reputation. In my recent discussion of Aristotle’s Great Souled Man, as he appears in Book IV, Chapter 3, of the Nichomachean Ethics, I noted that this particular virtue (μεγαλοψυχία — megalopsuchos or megalopsychia or megalopsukhia, depending upon your transliteration of the Greek) in Aristotle is at times translated as pride, though at other times it is rendered magnanimity, and still other times as great souled. In Aristotelian fashion, it represents the mean between the extremes vanity and pettiness. A few days ago I was reading Sartre’s War Diaries and came upon another interesting treatment of pride, what Sartre called metaphysical pride, and the passage was striking because it almost seemed as though it was conceived in parallel with what I wrote about metaphysical responsibility and metaphysical modesty as exemplifications of an object oriented axiology (i.e., an axiology consistent with the metaphysical values implicit in an object oriented ontology). However, Sartre’s exposition of metaphysical pride has a particular purpose in his diary, as it occurs in the course of a long entry (most of Sartre’s entries are long; the bulk of his writing is at times stunning) of 24 February 1940 in which he describes in detail his almost complete lack of interest in owning anything. He discusses his childhood during which, “money used to drop from the sky like ripe fruit” (p. 249), while his later years are contrasted to his friend’s various attitudes to personal property. Indeed, this entry in Sartre’s war journal could well be called Pride and Property. Sartre goes on in a similar vein for some time, eventually revealing that he wants to the possess the world as knowledge. (This is the philosophical quest, is it not?) 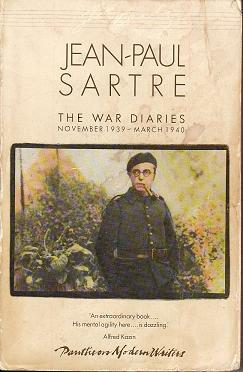 Elsewhere in his war journal, Sartre also invokes “metaphysical dignity” (p. 82), “metaphysical inhumanity” (p. 300), and even “metaphysical optimism.” Though many people familiar with existentialism might hesitate to associate it with optimism, anyone who knows Sartre’s writings knows that he asserted that it was not the pessimism of existentialism that offended others, but its fundamental optimism. I agree with this. 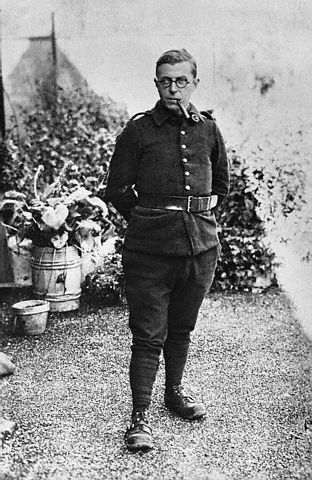 From reading Sartre’s war journal it seems clear to me that the circumstances of the war caused him to think with great concentration and intensity upon the concrete situations of individuals, bringing his metaphysical sophistication and subtlety to bear upon the actual problems that actual people experienced in the ordinary business of life. Existentialism is the true pragmatism. Indeed, the war was not yet over when Sartre published his great metaphysical treatise, Being and Nothingness. I think much of its content can be obliquely ascribed to the war, and even to Sartre’s experiences as a soldier. Apart from the particular circumstances of Sartre’s life that inspired the reflection, what exactly is metaphysical pride? Unlike metaphysical responsibility and metaphysical modesty, metaphysical pride can be understood as a metaphysical vice or a metaphysical virtue. While from the perspective of contemporary thought this makes pride ambiguous, pride does not necessarily retain this ambiguity in all contexts. It has often been observed that the Machiavellian sense of Virtù, sometimes mistakenly conflated with virtue, represents a condition of vigorous self-assertion that might be good or evil by turns, and it would not be too far off the mark to say that a metaphysical Virtù is nearly equivalent to metaphysical pride. Sartre's war journal is quite remarkable, and it is a great loss that much of it is missing. Sartre liked his formulation “being-for-war” so much that he used it several times, but his exposition of this idea was in the first notebook, which was lost soon after being written. It would be a worthwhile exercise to compare Sartre's journal from the Second World War side-by-side with Wittgenstein's journal from the First World War. There is also a close relationship — though not an identity — between pride and Aristotelian excellence, i.e., Aretē (ἀρετή in the original Greek, and sometimes translated as “virtue,” just like Machiavelli’s Virtù). 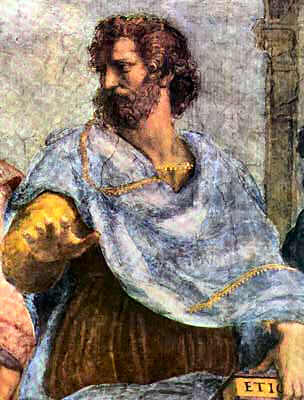 Throughout Aristotle’s ethics there is a clear implication that human beings take pleasure in achieving excellence, and in so doing experience a proper sense of pride. Thus a metaphysical excellence would be the proper occasion of metaphysical pride, an in so far as “the Good of man is the active exercise of his soul’s faculties in conformity with excellence or virtue, or if there be several human excellences or virtues, in conformity with the best and most perfect among them” (Rackham translation of I.7.1098a), then metaphysical good is the active exercise of the Being of beings in conformity with excellence or virtue, or if there be several ontological excellences or virtues, in conformity with the best and most perfect among them. In short, metaphysical excellence is ontological bella figura. Any agent in the world that can attain to metaphysical excellence, and can bask in the immediacy of the metaphysical enjoyment of an achieved perfection, will experience metaphysical pride, and rightly so. Metaphysical pride is predicated upon metaphysical excellence. I think Aristotle would have recognized this as readily as Sartre, though I don’t think Aristotle would have used this language, and I don’t think Sartre would have invoked the Aristotelian anticipation of his position. What about the dangerous and destructive aspects of pride, presumably raised to a higher order of magnitude (or, at least, a higher level of generality) in metaphysical pride? But little imagination is necessary to conceive of the potential disasters of metaphysical pride, and perhaps it would not be out of place to observe that metaphysical pride goeth before metaphysical destruction. From the example of how something as dignified as honor can go wrong, it is easy to imagine how pride can also go wrong. Of course, the Occidental tradition has been deeply sensitive to the follies of pride; perhaps this is an instinctive correction to Occidental individualism, which, if exposed to the idea of pride without a cautionary narrative, might well be more harmful than if the very idea of pride had never been conceived. Metaphysical pride gone wrong, twisted and distorted by the baser impulses of human nature, would be (and has been) a metaphysical affront to the world. Confined within a bourgeois discussion of property ownership — which, paradoxically, is what Sartre does — metaphysical pride scarcely attains to the level of a virtue or a vice simpliciter, and certainly not to the level of metaphysical virtue or metaphysical vice. That was a very interesting article. Thank you very much. You have truly made me think. My perspectives have been tweaked. Thanks. Namaste.